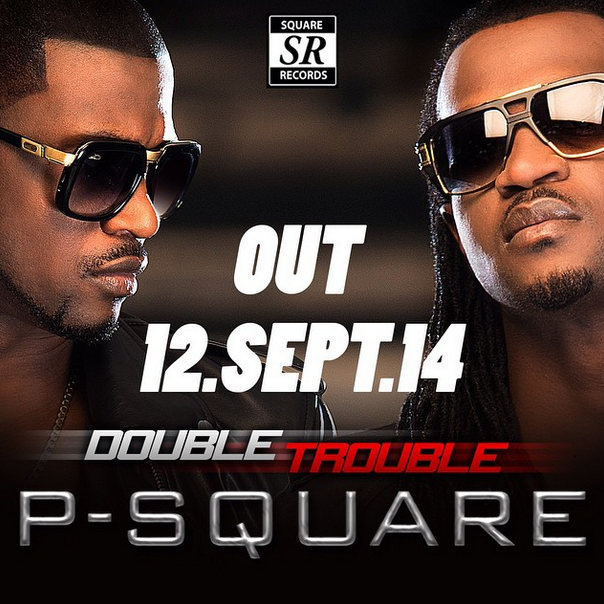 One of Africans biggest music makers, - Psquare is set to release their upcoming album 12th of September, 2014. The Music album titled - “Double Trouble” features rap superstar T.I in Ejeajo, African music icon Awilo, Jackson Five’s Jermaine Jackson and Dave Scott in Bring it On.The album also has super producer - Don Jazzy in Collabo.Check the album art below. 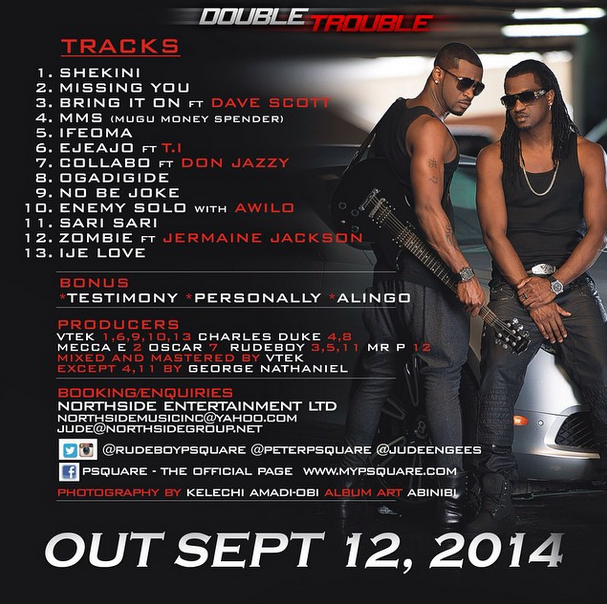 Producers of “Double Trouble” include :- Vteck, Charles Duke Mr P, Oscar and Mecca.